In February 2007, after more than a year of negotiations, Time Warner agreed to a deal that would sell the Braves to Liberty Media Group (a company which owned a large amount of stock in Time Warner, Inc.), pending approval by 75 percent of MLB owners and the Commissioner of Baseball, Bud Selig. The deal included the exchange of the Braves, valued in the deal at $450 million, a hobbyist magazine publishing company, and $980 million cash, for 68.5 million shares of Time Warner stock held by Liberty Media, then worth approximately $1.48 billion. 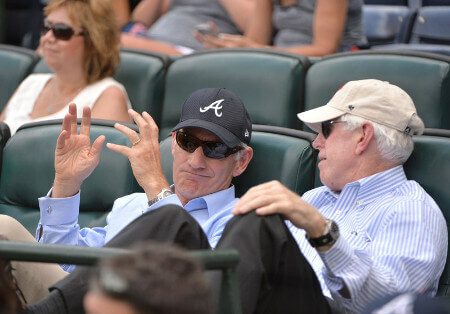 Team President Terry McGuirk anticipated no change in the current front office structure, personnel, or day-to-day operations of the Braves. Liberty Media is not expected to take any type of “active” ownership in terms of day-to-day operations.